On January 9, 2019, Lancaster TIF 8 Board approved $1.75 million for public improvements of the City easement between Lancaster Ave. and the T&P Terminal. Funding for improvements to the tunnel connecting the terminal to the TRE parking and transit oriented redevelopment site on Vickery was also approved. These improvements will serve TRE and TEXRail riders using the T&P station on the South end of downtown. Lancaster Avenue will see significant development in 2019 with the expected construction start of both the Burnett Loft and Kent Loft apartment projects. 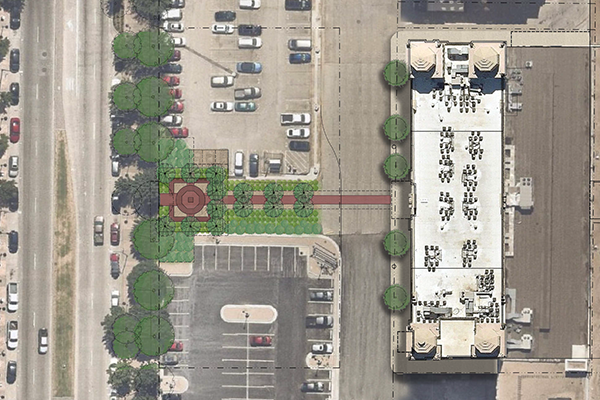 TIF 8 (Lancaster) was created to promote development along the Lancaster corridor after the Interstate 30 overhead was demolished and Lancaster Avenue was redesigned as one of the primary gateways to downtown Fort Worth and the Near Southside.